Book your free consultation with one of our friendly bathroom specialists. 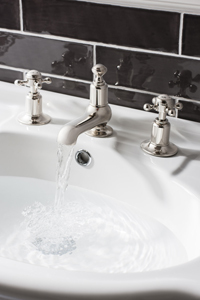 We'll discuss your requirements and show you our range of unique bathroom styles. After your consultation, visit our showroom for a presentation of your unique CAD design, and receive your free quote. Should you decide to purchase your new bathroom from us, our expert fitters will come and install it for you at a time to suit you. We design and create bespoke bathrooms to suit every taste. 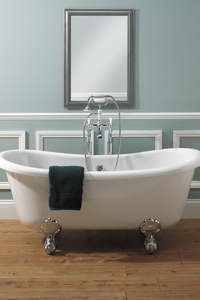 We have carefully selected our suppliers to give our customers the best quality and range across all bathroom products. The suppliers we work with, including Bauhaus and Utopia, provide us with furniture crafted with the utmost care, using the finest materials, bringing cutting-edge design to any bathroom. Whether you are looking for luxury or practicality, for a couple or a large family, the collections we fit here at Kitchens and Bathrooms are both stunning and functional. Why not take some time to browse the brochures below, to see which style appeals to you? We can offer you an obligation-free 3D CAD service to bring your ideas to life. For more information, get in touch with a member of the Kitchens and Bathrooms team today. Your quotation will include all electrics to Part P standards, plumbing plastering, decorating, tiling and flooring as per your instructions. The showers and taps from Crosswater are works of art; each design is elegant and unique. The Simpsons shower enclosures we fit combine cutting-edge technology with immaculate design to create products which will transform your showering experience, offering a comprehensive choice for every taste and bathroom style. Inspired by traditional Turkish Hammam bathing culture, dating back over thousands of years, VitrA combines innovative design with state-of-the-art technology. Their products are practical, comfortable and stylish and create an intimate and relaxing space. Kudos offers a vast selection of Shower Enclosures and Bath Screens to suit every bathroom and every taste. Their products are minimalist and elegant whether you prefer panelled, sliding or hinged doors. Regardless of the size of your bathroom, Kudos' ranges are versatile and bring a touch of class to any environment.